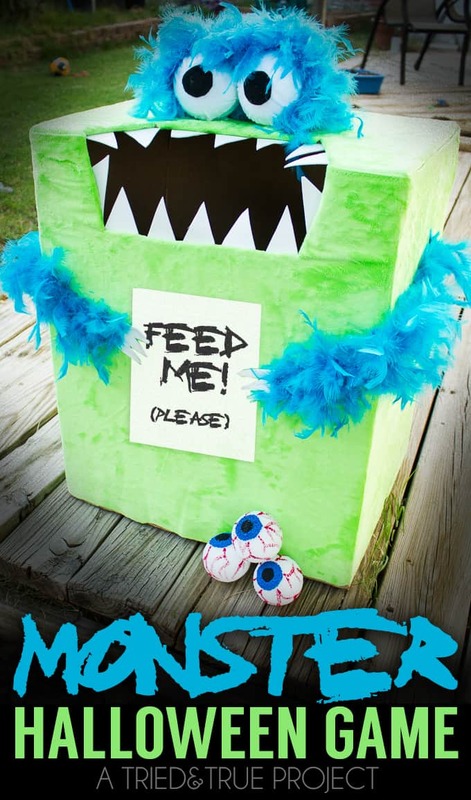 Planning a Halloween Party for your adorable little monsters this October are loads of fun! 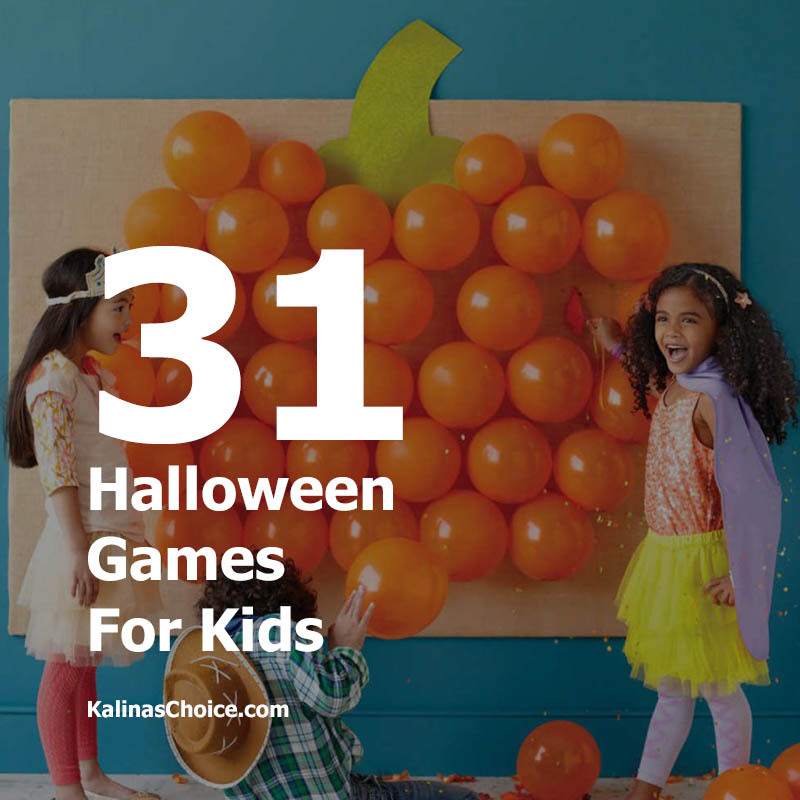 These classic Halloween games would be spectacularly fun and are great for all ages! You can quickly and easily find inspiration, instructions and supply lists in one place. Have fun and enjoy! It’s super easy to plan and set up. You’ll need several rolls of Toilet Paper and a few friends. It’s always a hit. Have fun! Check here. 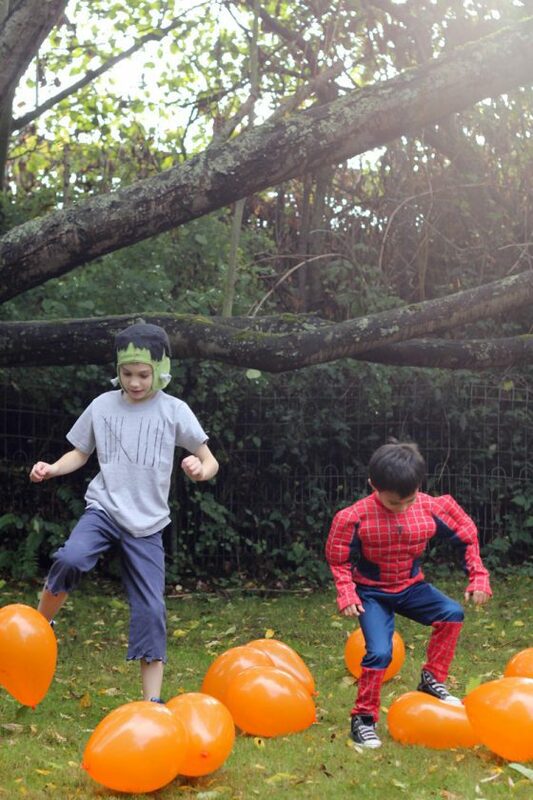 Fill balloons with confetti and candy. 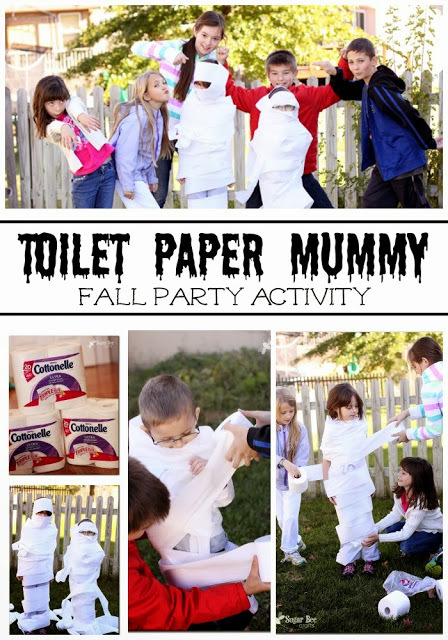 Halloween party game will make everyone explode with laughter. All materials and instructions are here. If you want something different then make the spookiest yard in the neighborhood this Halloween. Take a look. Enjoy the party with guests and capturing all the memories. Use real eggs and a Halloween version would be so much fun. Don’t forget the candy corn. Check here. Probably our most creative game. All you need is a huge carvable pumpkin. Take a look. 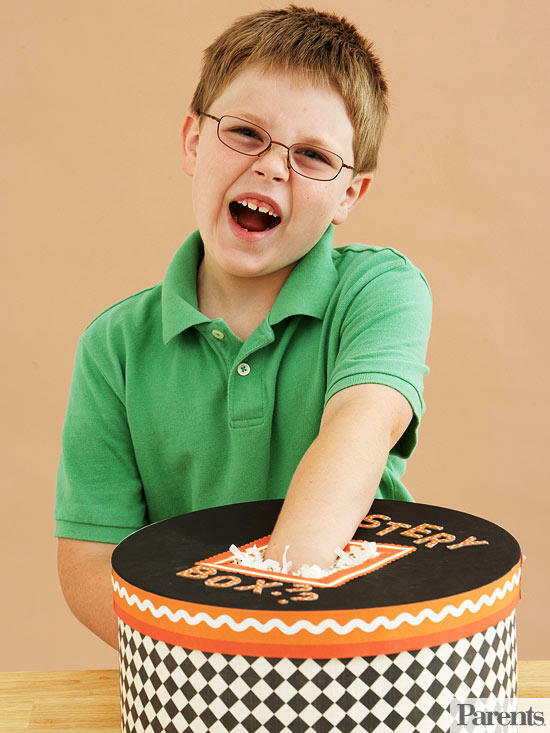 A super simple kids’ party craft. 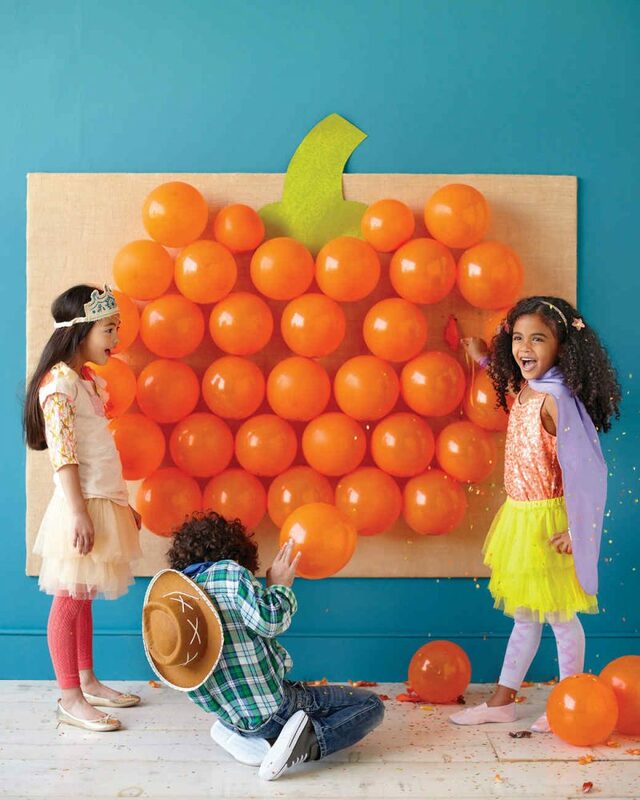 Pumpkin painting can get messy, but the most important part of a kids’ party is keeping everyone busy. Take a look. 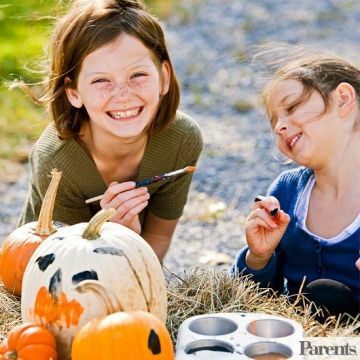 Use your creativity when thinking of Halloween activities. How to make it check here in the video. No party without a pinata! 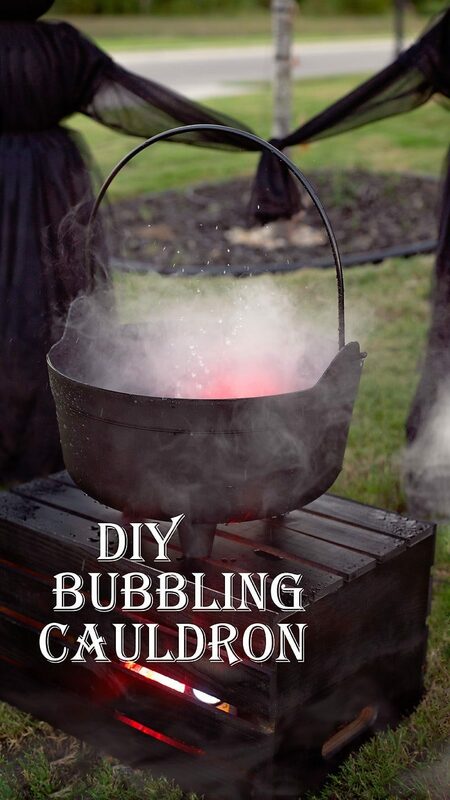 Click for tutorial. Perfect for kids’ parties. 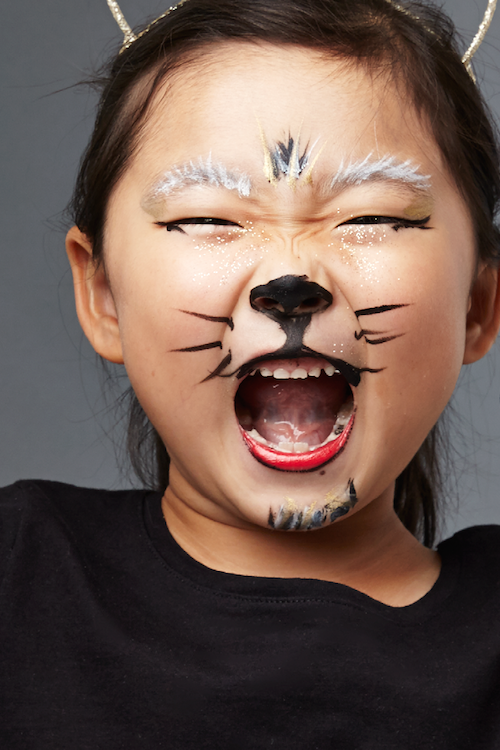 This is seriously easy face painting tutorial with tips on how to remove all that paint and glitter. Take a look. Monsters aren’t perfect so you don’t have to worry if it’s not perfect. All materials and tutorial you can find here. All you need is a pack of orange balloons and some little candies. Be sure that candy is small enough to fit through the neck of the balloon. Check here. 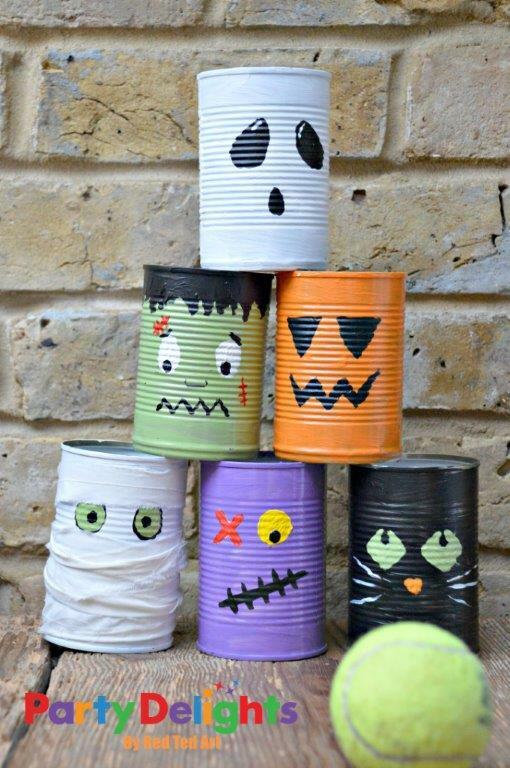 Use old baked bean cans and enjoy Halloween party game. All you need is empty & clean tin cans, acrylic or enamel paints, and brushes. How to make it read here. 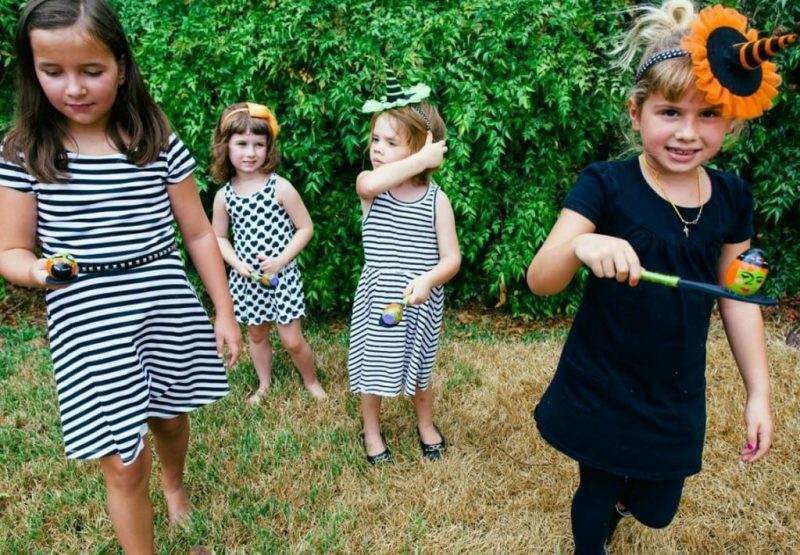 These hilarious party games are great for teens and even for toddlers! All introduction you can find here. Take a look. 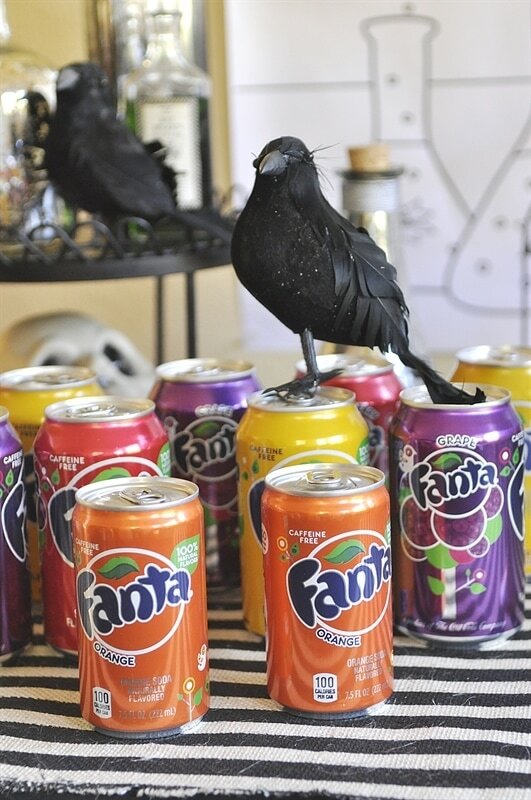 Look for some new fun twist to add to the party and let the kids mix and match their soda flavors to their heart’s content! Take a look. 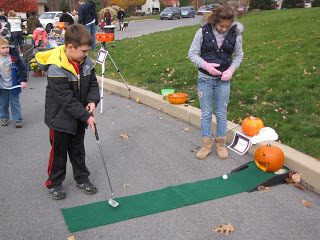 Materials needed: marshmallows, timer, plastic bags (for clean up), masking tape or cones. Separate your group into pairs and set your timer for around 1-2 minutes or any other time. How to play check here. 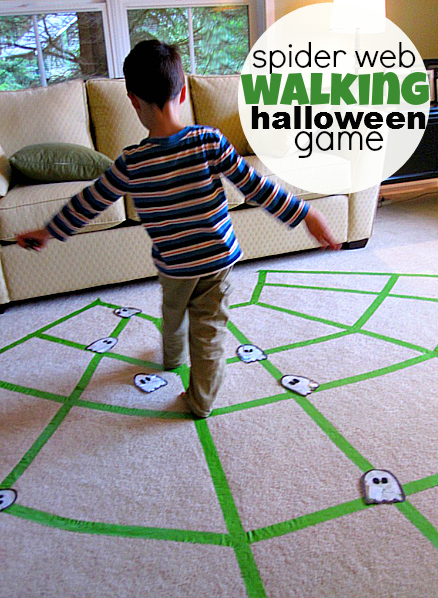 This game is simple, spooky and perfect for younger kids. The kids will be lining up to take a turn. How to make it read here. 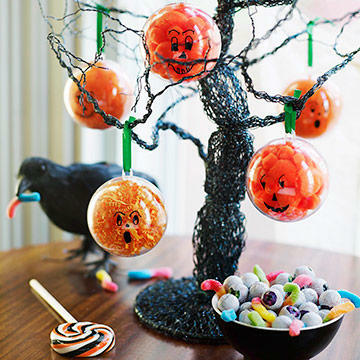 Make this cute plastic ornaments. What you’ll need and how to make it check here. 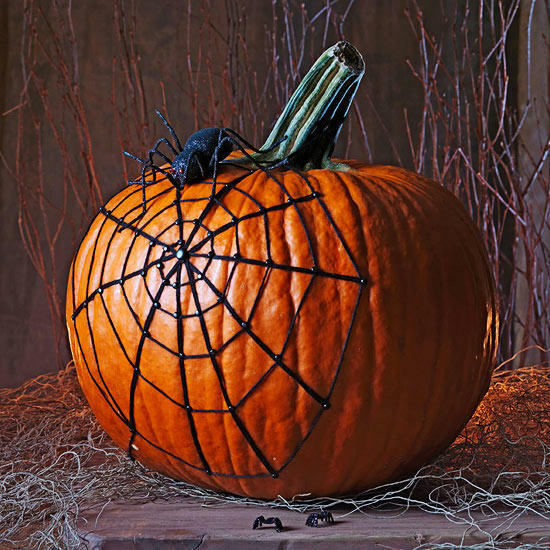 Learn how to make a spiderweb pumpkin! 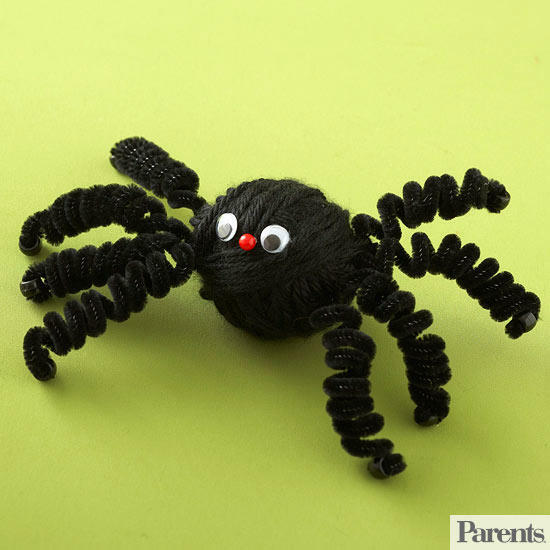 You have to buy a pumpkin, plastic spider, black brads, black yarn, glue. Take a look for inspiration. 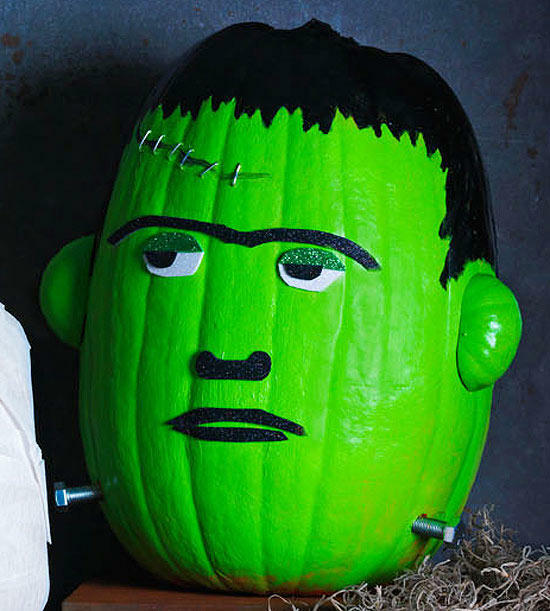 No Halloween party is complete without a pumpkin. 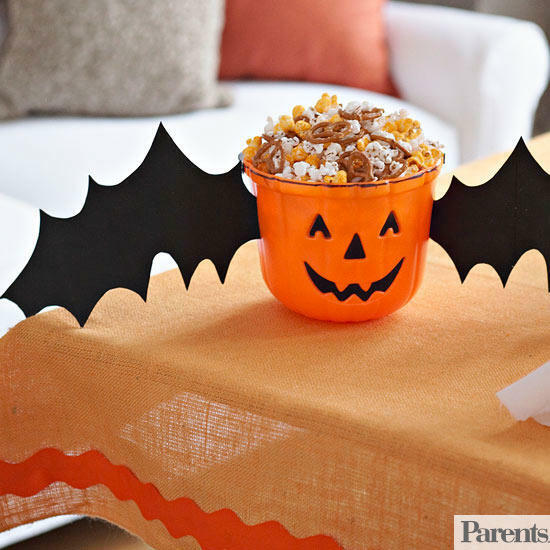 Use your creativity when thinking of Halloween activities. Check here for materials. 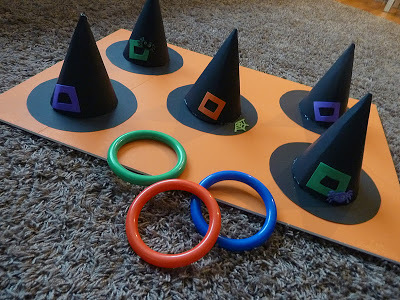 Cut out circles and the tops of the hats from black poster board and use a colored board for the base. Check here. 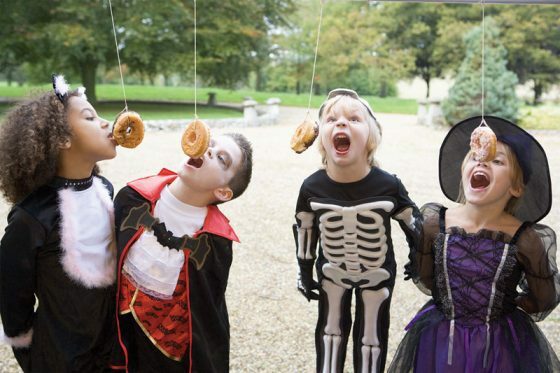 Halloween party are more concerned with how their food looks rather than taste. 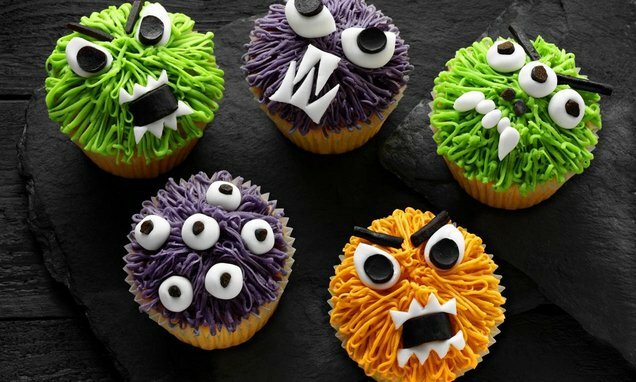 Monster cupcakes are fun for the whole family. For the recipe, check here. 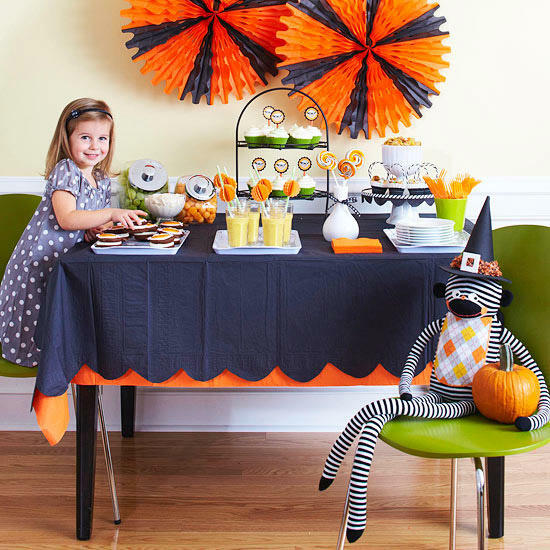 A kid-friendly sock monkey Halloween party its good idea for little ones because it’s not too spooky. Check here. 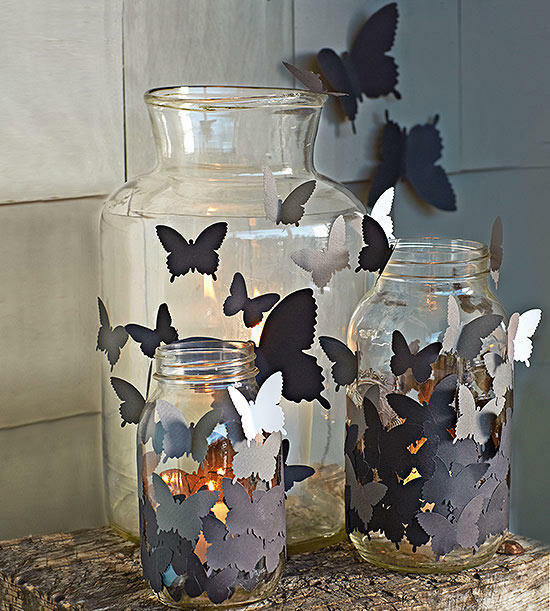 An easy project to craft at school or a home party. 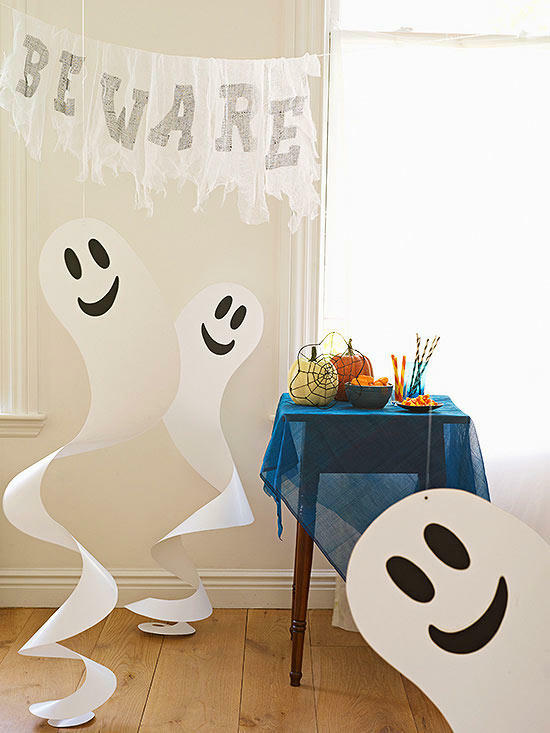 Make these a super simple kids’ party craft. Take a look for materials. Like the carnival, these are also very popular with kids. 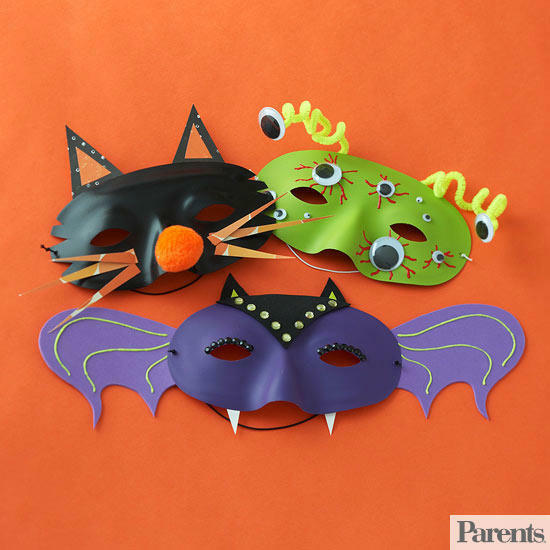 Make your own mask with some color paint, pom-pom and create a variety of characters. Check here. Place mysterious items inside like gooey and slimy. No peeking!! Take a look. Kids can design their own sugar cookies. 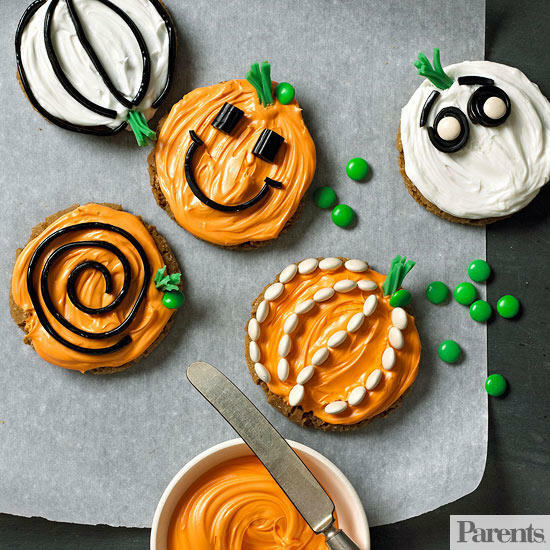 See Haloween cookie recipe. You can make food look spooky and there is one easy idea how to make it. Check out. Very interesting Halloween decoration. 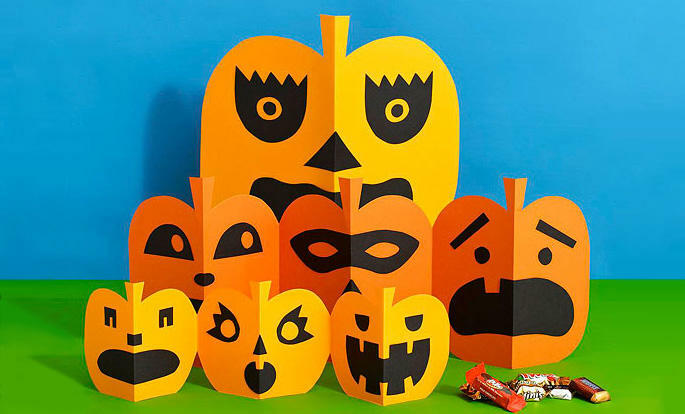 Get into the spooky spirit with these fun kid-friendly paper projects. How to make it check here. Serve some food for your guests at the party in these homemade jars. you can put lots of candy inside. Take a look. Dress up bags for the present for your friends or neighbors at the Halloween Party. 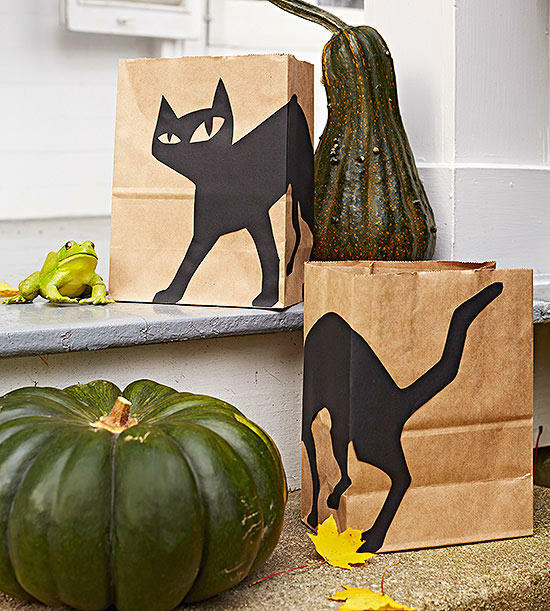 Make black cats silhouette with paper and just put it on the front side of bags. Look here. 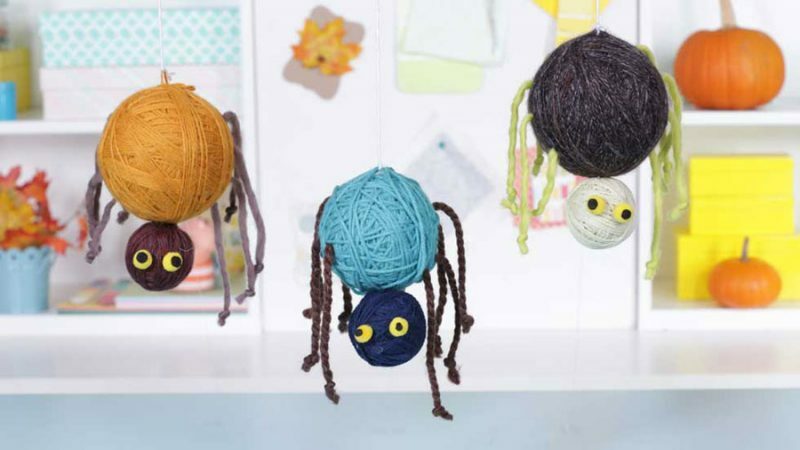 Let kids create a string of festive faces. 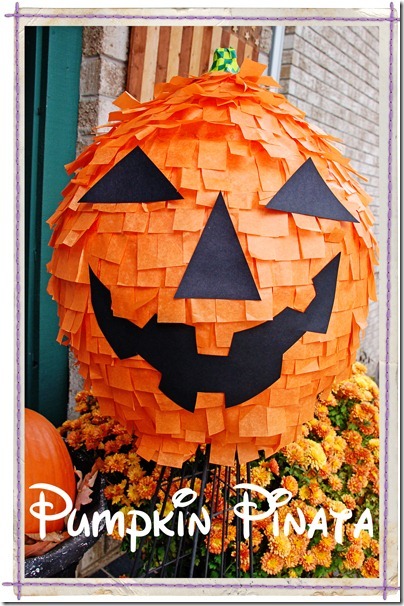 You can also download the Paper Pumpkin Template. Click to watch video how to make it.